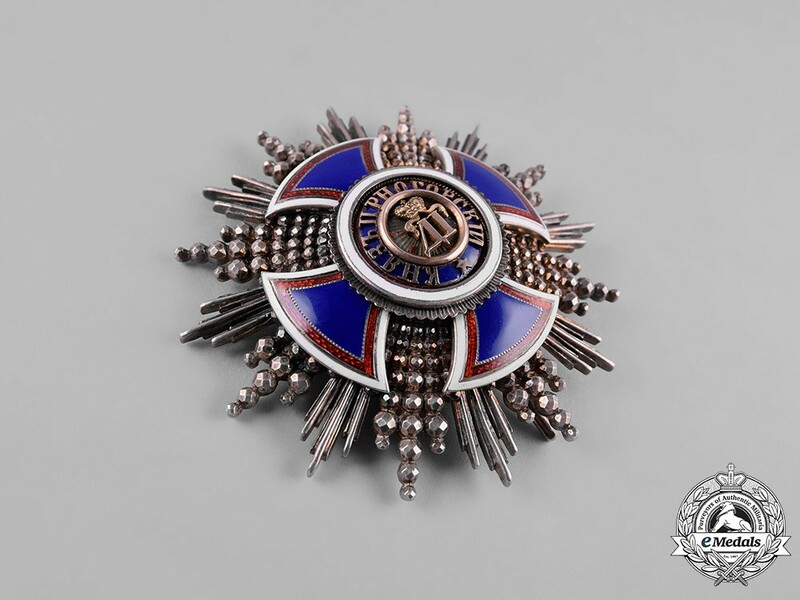 (Orden Danila I za zasluge za nezavisnost). 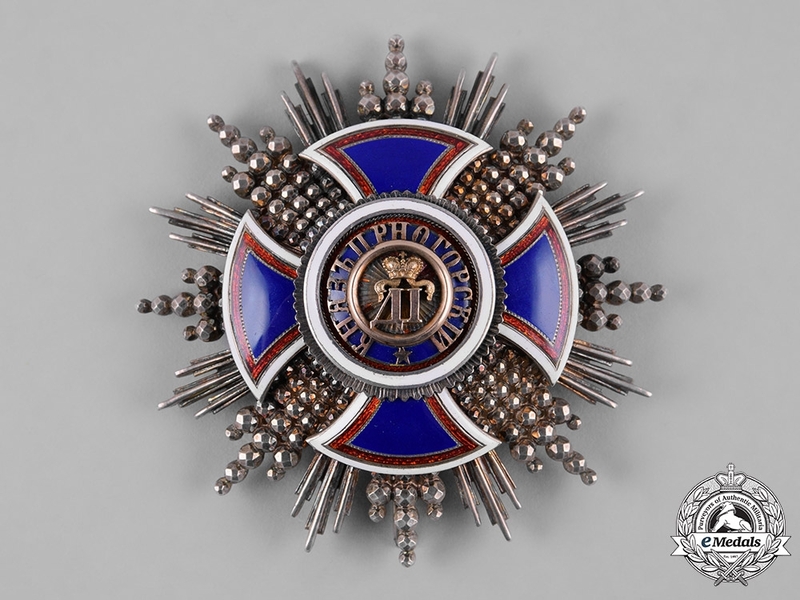 Instituted in 1853. Type II. 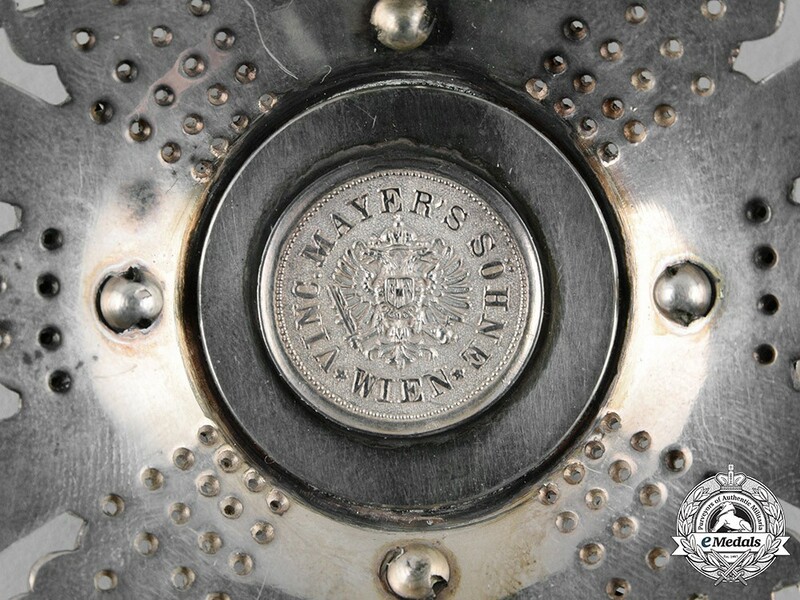 (1861-1918 Issue). 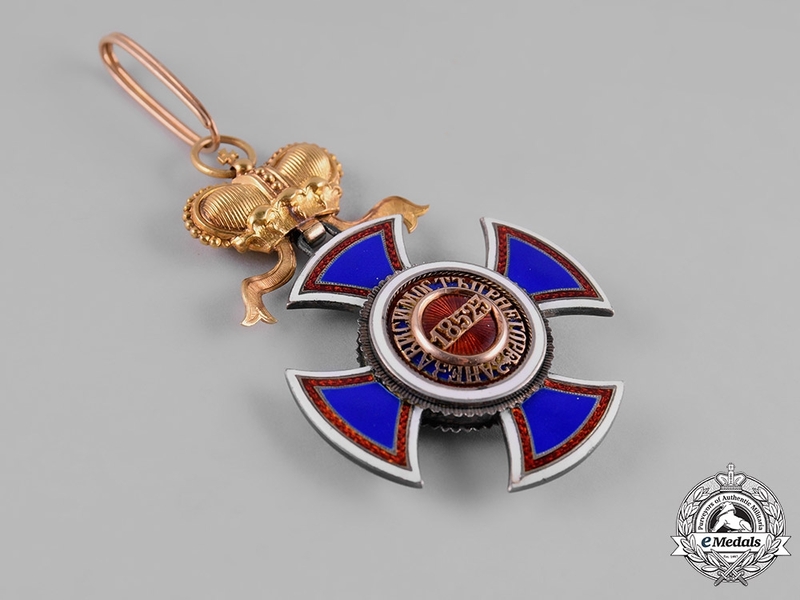 A II Class badge in gilded silver, consisting of a blue enamelled cross with red and white borders, the obverse centre presenting a Gold crowned royal cipher of Danilo I with the Cyrillic surround Danilo I, Prince of Montenegro, also in Gold, with a white enameled border and small die stamped silver rays, centre reverse with institution date of 1852-53 in Gold on red enamelled background, circumscribed by For independence of Montenegro in Cyrillic script also in Gold, cross is adorned by a Gold crown with characteristic elongated tassels, maker marked on integral and suspension ring VM for Vincent Mayer, measuring 49.63 mm (w) x 72.98 mm (h - inclusive of crown and horizontally pierced ball suspension adorned by cross), weighing 43.3 grams, with minimal enamel contact, and extremely fine. 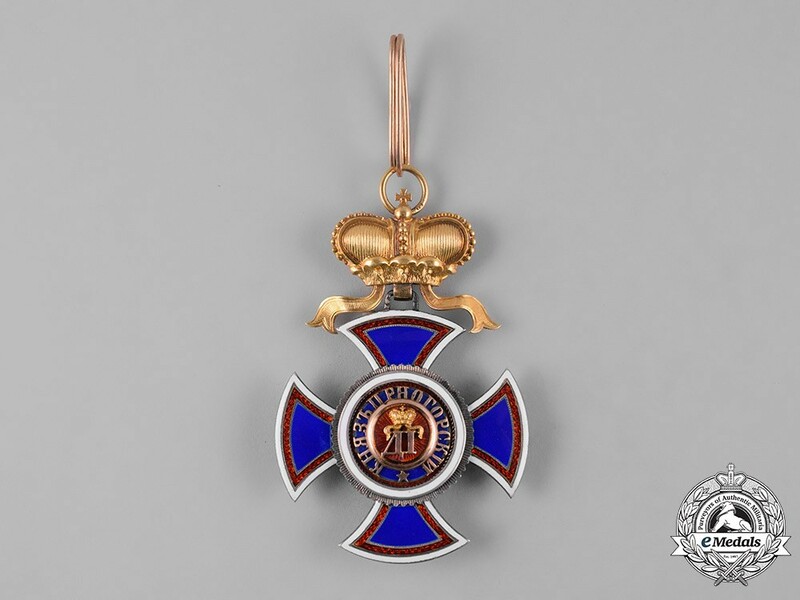 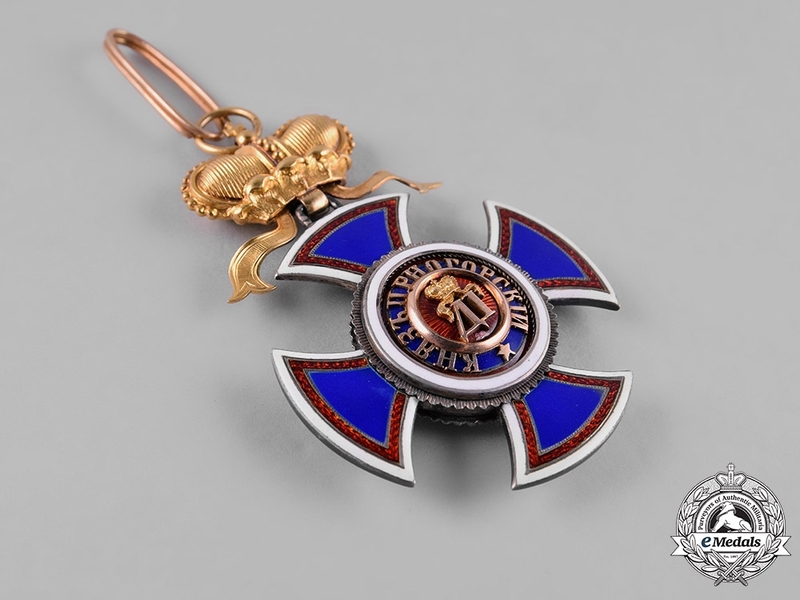 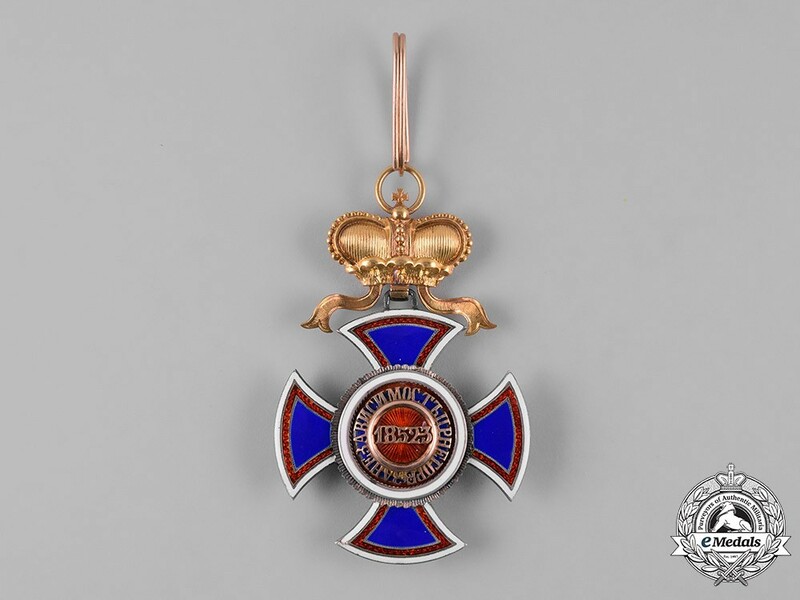 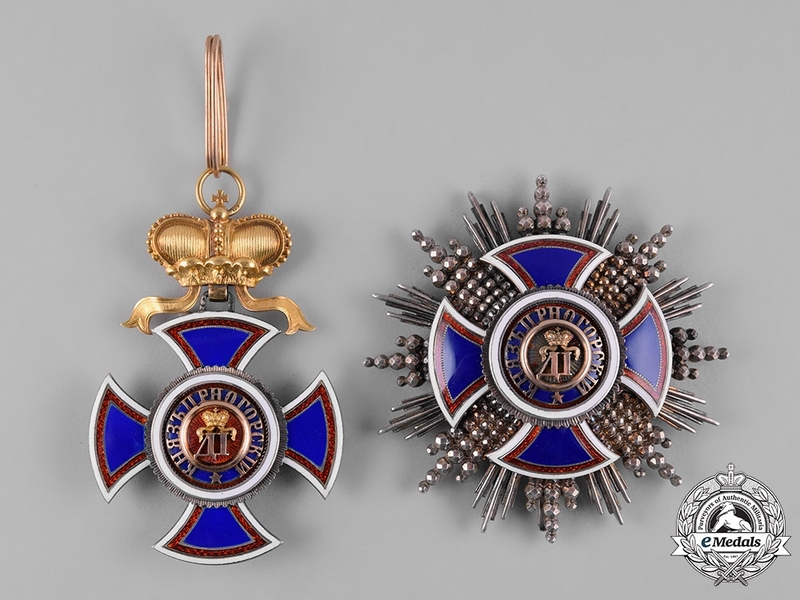 Accompanied by the star of the order, consisting of large sixteen armed silver star, with each arm consisting of alternating clusters of smooth and faceted rays, obverse centre presenting a blue enamelled cross with red and white borders, a Gold crowned royal cipher of Danilo I with the Cyrillic surround Danilo I, Prince of Montenegro, also in Gold, reverse with principle pin assembly, makers cartouche of VINC. 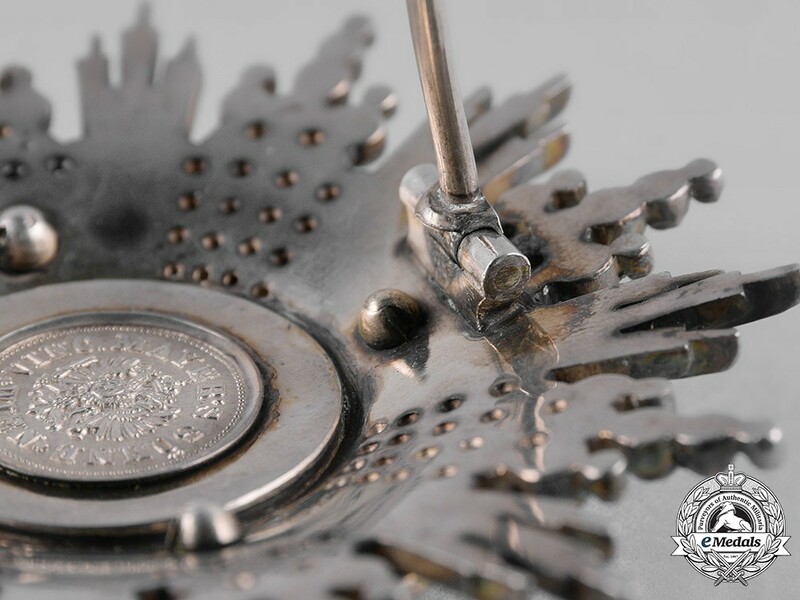 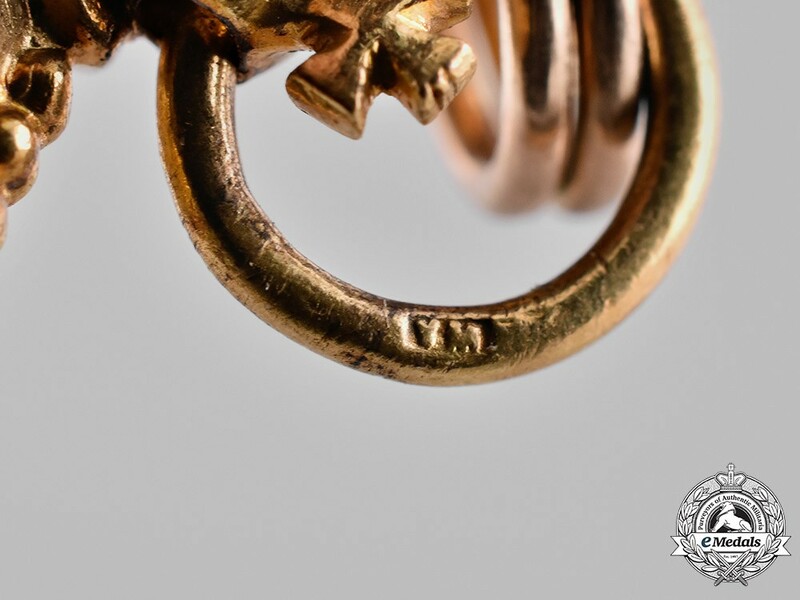 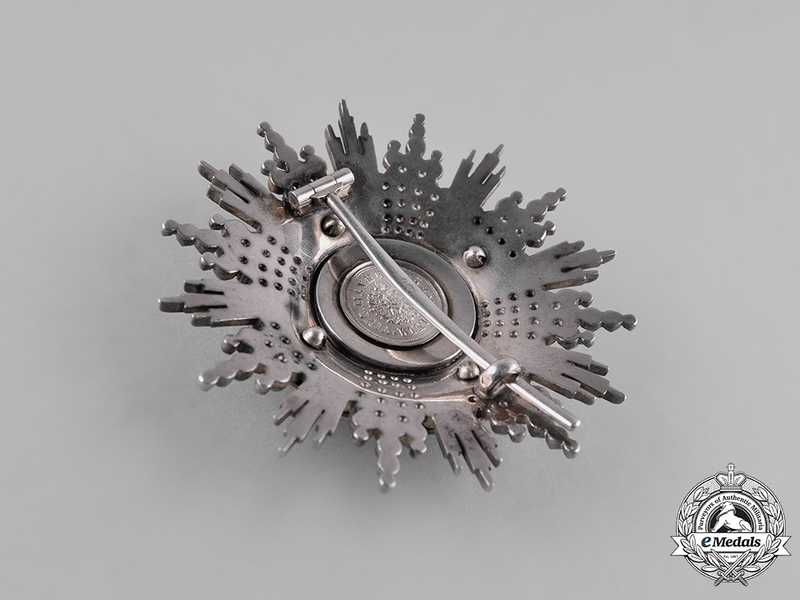 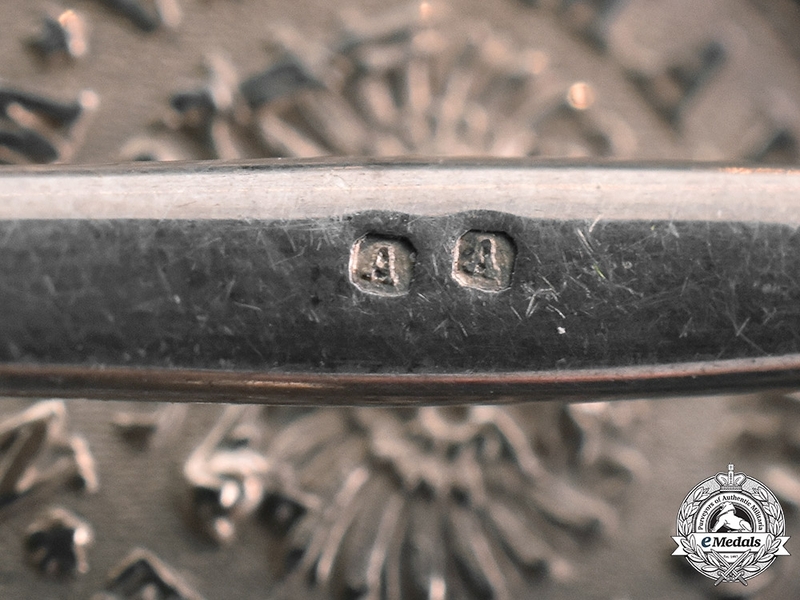 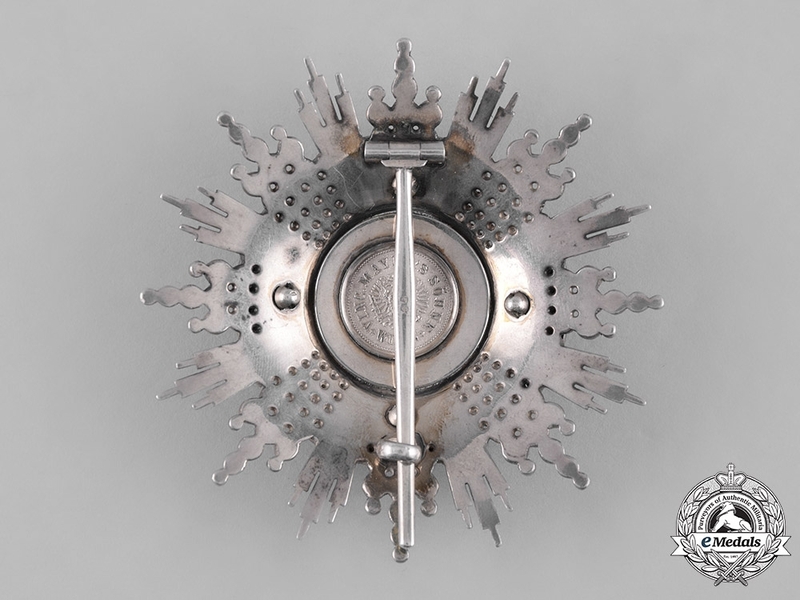 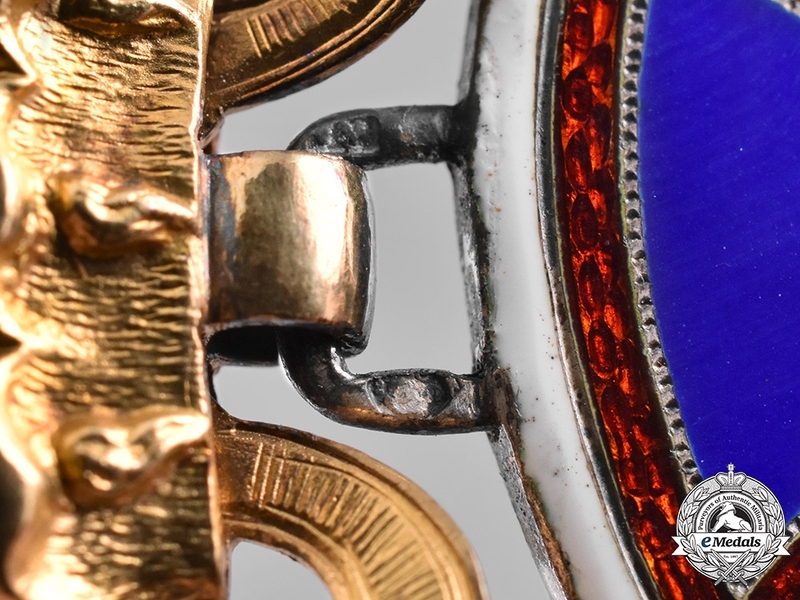 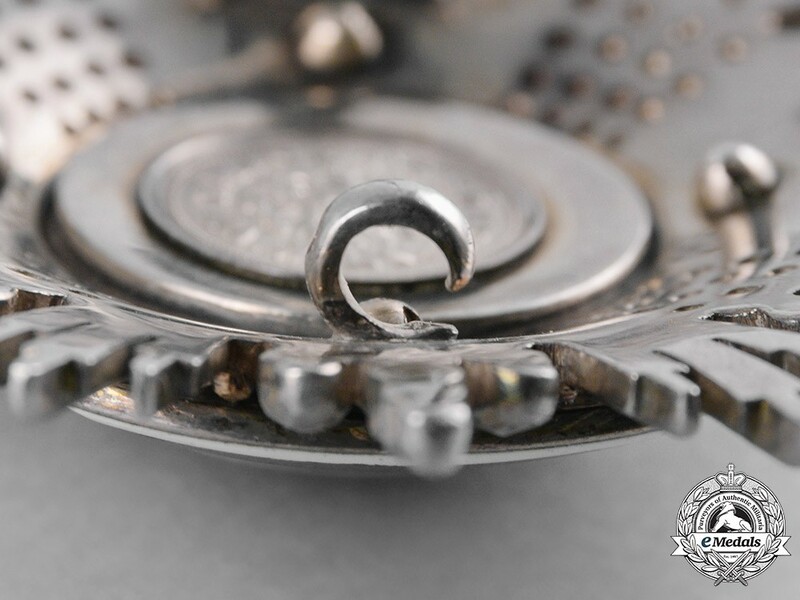 MAYER’S SÖHNE, silver hallmarked on catch with Diana's Head denoting manufacture in Vienna and silver content, hallmarked on pin with double A initials, measuring 72.49 mm (w) x 72.54 mm (h), weighing 80.0 grams, and in extremely fine condition.